Serving Lake Oswego, Portland, Hillsboro, Beaverton, Tualatin, Tigard, Clackamas, and surrounding areas. The Law Office of Caleb W. Fung, LLC provides personalized legal services that will ensure your estate planning and business law needs are met. Preserving your estate and ensuring that your wishes are carried into effect is a very personal and important matter. Similarly, estate planning is very personal and can involve emotional as well as financial decisions. Caleb Fung can assist you in evaluating your particular situation and tailoring an estate plan that can help minimize taxes and smooth the transition after you are gone. You may only need a simple will or perhaps a trust to avoid costly and time consuming probate. Whatever your needs, Mr. Fung meets with clients to explain the various estate planning options, learn what the client's financial and family situations are, and set out and explain the estate planning options the client might consider. Mr. Fung also can assist you with your small business startup needs. He can guide you on what business entity may be best for your company and assist you with drafting and filing all the necessary documents. Mr. Fung can also advise you on other documents you may need and steps to take for your small business. The Law Office of Caleb W. Fung stands ready to provide the services you need and the legal counsel you’ve been looking for. 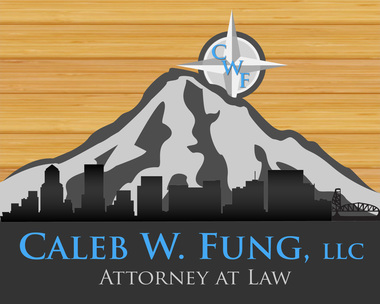 Caleb W. Fung, LLC is conveniently located in Lake Oswego, on Meadows Road, near Kruse Village. Meetings can also be arranged at a location convenient for you as well.